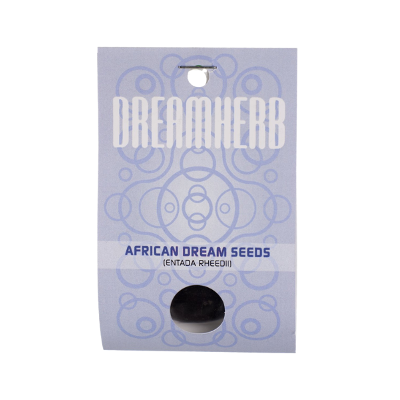 African Dream Seeds are known as one of the most potent dream herbs. 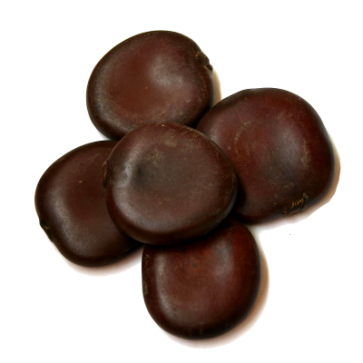 You consume the African Dream seeds as a snack, in a joint or in a tea to induce lucid dreams. In the traditional healing arts of some South African people, African Dream Seeds are used to communicate with ancestors and predict the future. Contains 1 African Dream Seed. In sealed plastic packaging. African Dream Seeds are fit for consumption and for smoking. You can also use them to brew a tea. Before using African Dream Seeds, you will first have to break and open the hard outer shell. To achieve this, use a vise grip, a nut cracker or even a hacksaw. Inside you’ll find the magical white flesh of the seed. This kernel still tends to be fairly hard, but it is edible. The usual dose is one entire seed, to be eaten about half an hour to an hour before going to sleep. To smoke African Dream Seeds, you will need to have to crush and grind the white seed kernels using a mortar and pestle. You can then mix the African Dream Seed powder with tobacoo (nicotiana tabacum) or mapacho (nicotiana rustica) and roll a joint. Smoke the joint before going to bed. To brew a tea, crush and grind the white kernel using a mortar and pestle. Use one tablespoon of the powder for one cup of tea. Allow the powder to seep for about 5 minutes. Drink before going to sleep.